I packed my car in the rain and weighed my options. I was getting a late start, but with February comes a later setting sun and options, especially this year with everybody pushing 100% coverage. I recently saw a weather guy call this week the seventh inning of the season. I guess that makes sense, because if you’re a serious skier you know that we’re deep into the game, even as we hope for solid March and extra frames. With everything on the table, I drove to West Mountain for the first time since 2012. I’d have a night skiing option if I arrived late or wanted to grab more vertical. West is located so close to I87 that even with the weather, I didn’t think the drive would be tough. I remembered being impressed with the mom-and-pop, diamond-in-the-rough that I saw two years ago. Something about West echoes with the presence of ski history. It would be almost equally unsurprising to hear of an olympian calling West home as it would seeing great local racers in the arena some night after work. There was another reason I wanted to revisit West: the building buzz about the changes under the new management. No doubt that during my last visit there was room for improvement. 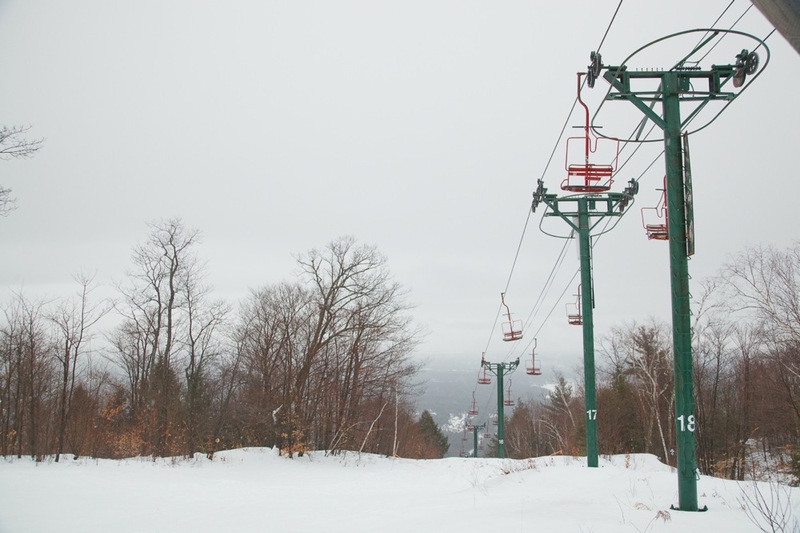 The capital region has taken notice of the improvements made under the watchful eye of the new team, consisting of the original developer of the mountain and some new friends with glistening resumes from running big name Epic resorts in the Rockies. The weather on the other hand continued to be uncooperative, but the staff were cheerful and I had the place to myself. During occasional breaks in the clouds, I remembered why I liked the views so much. West is a contender for the best among mountains under 1100′ of vert. The valley floor is a plain of endless evergreens and frozen lakes, with the jagged foothills of the Adirondacks just to the north and east. Once upon a time, it may have been a part of glacial lake Albany, and I87 is almost as distant a memory. After taking it in, I couldn’t wait to make some turns. The cover was excellent, and the trails seemed wider and better maintained than on my previous visit. 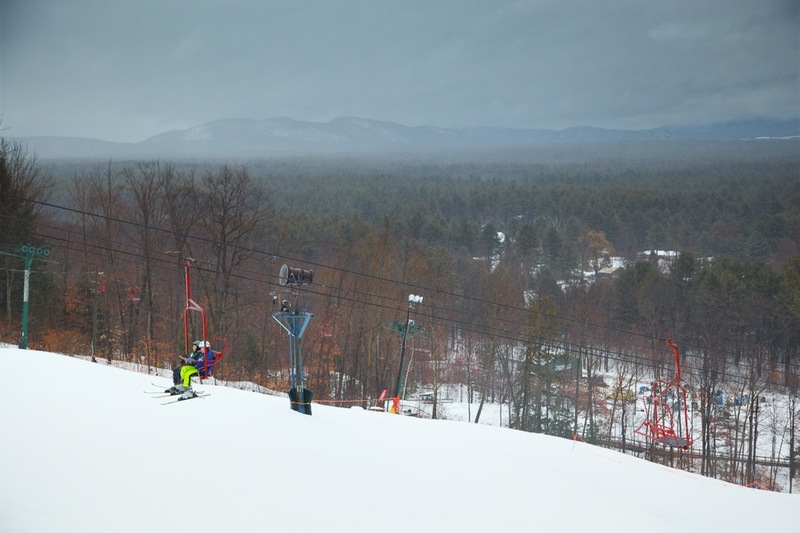 Because of the icy rain, the triple side wasn’t running yet, but I was entertained by the soft moguls on Frolic and great GS turns on the Face. I decided that if the woods were going to get washed away, I had to give them a try. It is clear looking up at the hill that there is potential in those trees. The snow was not pliable and quite deep, so I ended up on Holy Mackerel. This trail winds down from the summit framing the views perfectly. I took a second to look back up at the gnarly Cure, which was closed for the day. 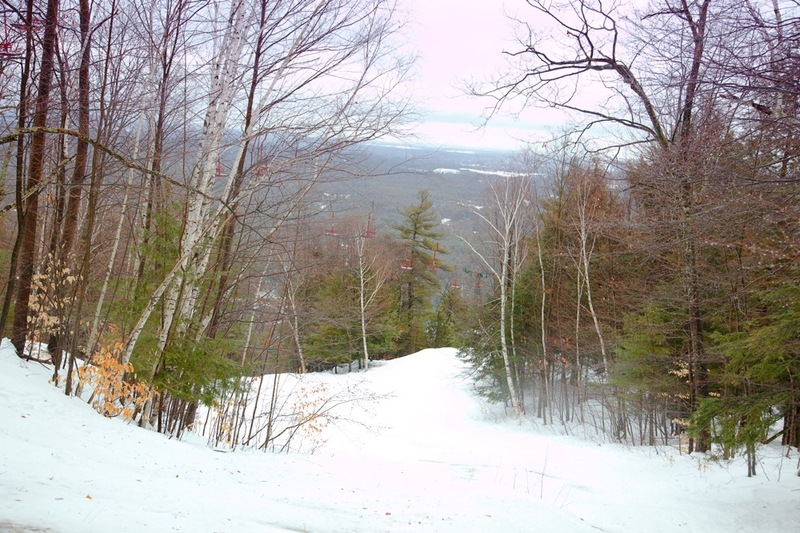 It reminded me of a low elevation version of Slide 4 at Whiteface, steep and narrow. Definitely a trail to put on the tick list for a future visit. 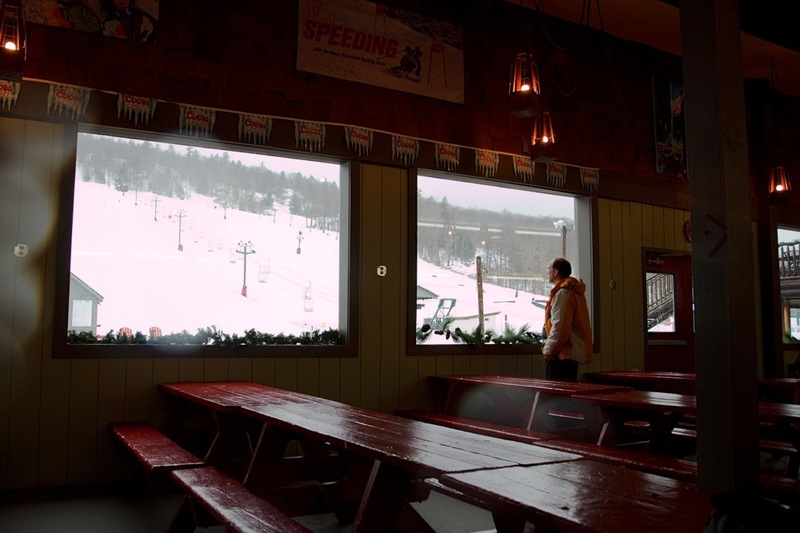 If skiing in the rain builds soul, I might have had a religious experience making those soft turns, but when my legs were done absorbing moguls and my Gore-Tex the cold rain, I stopped in the bar to get a burger and learn what I could. The plans for the mountain are big. Management is taking incremental but very noticeable steps to improve the experience. The lodge, for instance, had new paint on everything, new seating, and those huge windows overlooking the race pavilion. On this day there were just a few parents watching their kids take runs, but I could easily gaze out into the bright future. Thanks for the update on West Mountain. Glad to hear the place is still in business. 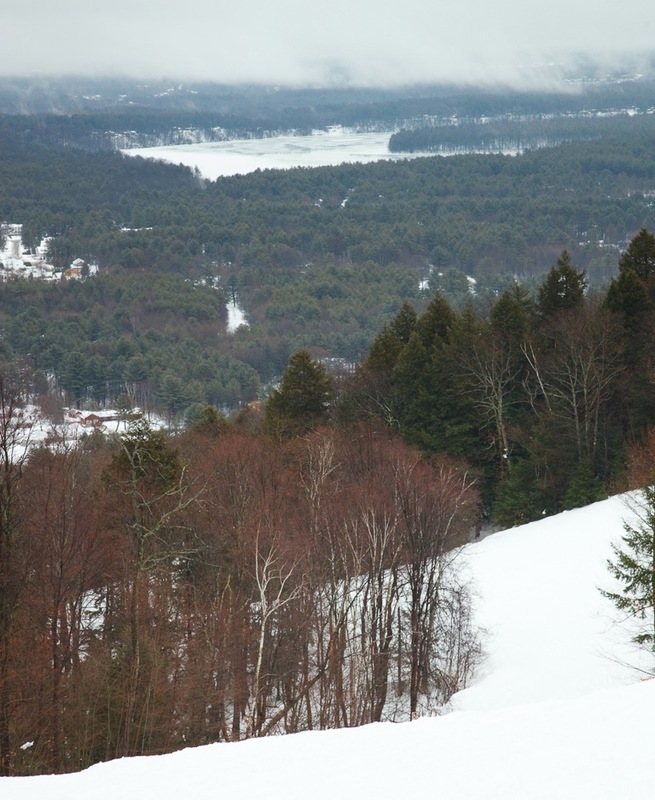 Back in the day, I learned to ski at West Mountain and a few others in the area. I was there when they brought in some of the first freestyle skiers in the early 70s; Wayne Wong and John Clendenin I believe. Simply amazing what they did at that time. Also remember night skiing, trash bag rain gear and the lower main slope which scared this beginner to no end. 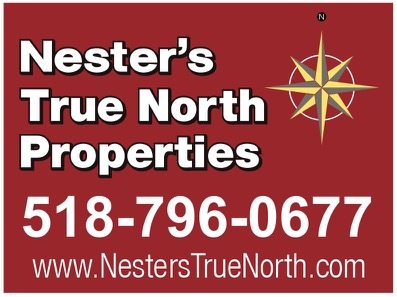 West is a great place for a short ride from Albany or Saratoga Springs, in fact if you want a great time, spend the day at West and the night in Saratoga, fantastic clubs and restaurants, glad to see it’s getting improved. Seems like a convenient stop on the way north. I live south of Philly and the drive to VT is a long one. Where to stay (cheap!) nearby?Also terrain: what hills in VT or NY do you compare West too?